Prof. Torello Lotti , MD, MD (Hon) Prof. Lotti is Full Professor of the Dermatology Division at University of Rome “Guglielmo Marconi”, Rome, Italy. He is President of WHA – World Health Academy, Dermatology since 2013. He is Honorary Professor of Dermatology at China n.1 Medical University in Shenyang, China (2011), Key Lecturer at the New York Academy of Medicine for the “Howard Fox Memorial Lecture” (14 March 2012 – New York, NY – USA), and Lecturer at Boston University School of Medicine, Harvard (MA, USA 2014); he is Chair, Executive Scientific Committee of the Vitiligo Research Foundation, New York , NY USA. He has been Full Professor of the Dermatology and Venereology Division at University of Florence School of Medicine, Florence, Italy, from 2006 to 2010. He is Visiting Professor in six International Universities, and Key Note Lecturer in several international Dermatology Societies and Invited Speaker at the main international sectorial congresses. 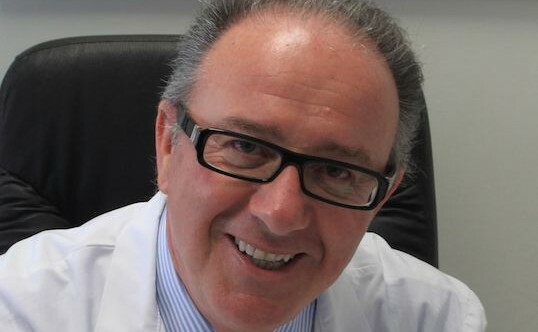 His activities in serving Dermatology have been numerous: President of the Italian Society of Dermatology and Venereology (SIDeMaST , 2009-2010) and President of the International Society of Dermatology ( ISD, 2009-2010), President of the European Society for Cosmetic and Aesthetic Dermatology (ESCAD, 2003-2004), Editor in Chief of the Journal of the European Academy of Dermatology and Venereology (JEADV, 1992-2002) , Editor “Therapeutic Hotline”- Dermatologic Therapy (2007-) and served as Editor in Chief of the Giornale Italiano di Dermatologia in the period of his presidency of SIDeMaST (2009-2010). He has been President of numerous international congresses, and is Ordinary Member of the main Scientific international Societies of Dermatology (EADV, SIDEV , ESDR , ISD, AAD, SID) and Honorary Member of several Scientific Societies of the Dermatology field. He is Honorary Life Member of the American Dermatological Association ( ADA ). Moreover, he is a Scientific Reviewer of ten sectorial journals, among which are the British Journal of Dermatology, Journal of Investigative Dermatology, Journal of the American Academy of Dermatology , Dermatologic Therapy. Prof. Lotti is Author or co-author of over 1500 scientific publications, including scientific papers , book chapters and books. Out of these publications over 400 are peer-reviewed papers , with a cumulative Impact Factor of circa 1000.